The information in the Patient Center is meant to answer questions that are most frequently asked by patients and their families about Radiation Therapy, Brachytherapy, Gamma Knife® Surgery treatment and MEG Patient Examination. Radiation Therapy is the treatment of cancer with radiation. This can be done in a variety of ways, depending on the nature of your cancer. The most commonly used method is called external beam therapy (from a machine outside the body), which directs radiation at your tumor. If you've been diagnosed with a brain disorder or metastases, you may be a candidate for Gamma Knife radiosurgery. 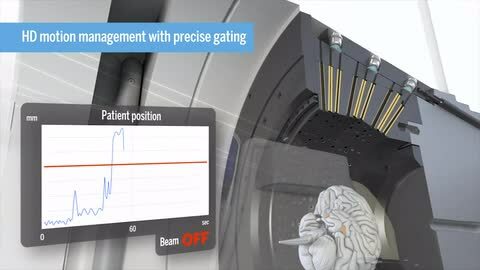 Although it’s called Gamma Knife, there is no blade or blood. Instead, it's a radiosurgical treatment that delivers a dose of gamma radiation to the target with surgical precision and is the most accepted and widely used radiosurgery treatment in the world. On the following page, you can view videos of real patient stories and how Gamma Knife radiosurgery works. There are also links to help you find a Gamma Knife center near you along with detailed information on the treatment process. Brachytherapy is a type of radiotherapy that can be used to treat many types of cancer. It is sometimes known as ‘internal radiotherapy’, or when used in the treatment of prostate cancer, ‘seed therapy’. 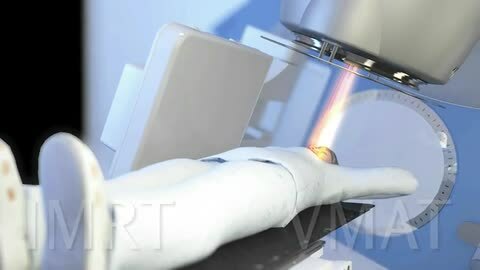 Radiotherapy is an important method of treating cancer. It works by destroying cancer cells by targeting them with radiation and stopping them dividing and growing. About 4 out of 10 people with cancer have some type of radiotherapy as part of their treatment. Because Elekta is a manufacturer of radiation therapy equipment and related solutions, and not a company of health care providers, we are unable to provide you with specific medical advice regarding a health problem or disease. Your doctors and your health care team are professional resources and are the most qualified to answer your questions if you have or suspect you may have a health problem. Nevertheless, there are a number of high-quality online resources that you may find useful. Among them, the American Cancer Society and the US National Cancer Institute have high-quality information resources that are multi-lingual and available worldwide. Professional organizations dedicated to cancer treatment also have resources that may be useful. These include the American Society for Radiation Oncology the American Society of Clinical Oncology the European Society for Medical Oncology (ESMO) and the European Society for Therapeutic Radiation Oncology.